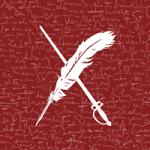 Welcome to my ninth Weekend Writing Warriors ~ Snippet Sunday post! If you missed any of the previous posts, you can catch up on my Meanmna ~ #8Sunday page. What you missed: Nothing! But to refresh your memory ~ Sarette just realized she had felt a weird buzz when she cut her hand on the crystal… And Action. I went back to the table to take a better look at the crystal. About the size of a baseball, it had a relatively smooth bottom and several jagged edges on top; translucent dark green with little white swirls that appeared to be moving inside of it. Clasping the crystal in my hand, I felt a little buzz or tingle again, “What kind of crystal is this? It looks like it’s moving; I’ve never seen anything like it,” I looked at Celine, who had a strange look on her face. 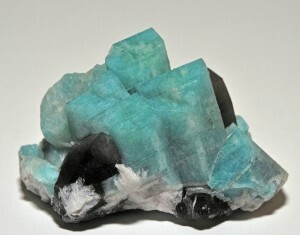 “Amazonite; I didn’t realize they could be translucent.” I looked down and saw it was opaque, rather than the single shade of see-through green like before. Now there were different shades of green throughout and white swirls that looked like solid veins. I am losing my mind; I’m going to have to go three towns over so nobody sees me check into the crazy house. “No, you’re not,” said a firm voice that I’m sure, I had only heard in my head. What do you think Sarette will do next? 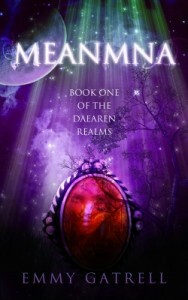 Check back in next week for Weekend Writing Warriors ~ Snippet 10 of Meanmna: Book One of the Daearen Realms!